Details "Octopus Helmet T-Shirt Men"
Squid, kraken or octopus? As you may call it, don't miss this style! 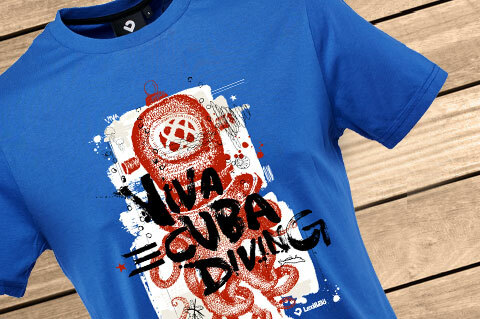 The red octopus in the nautical diving helmet is an absolut eyecatcher and gives your style that certain something. 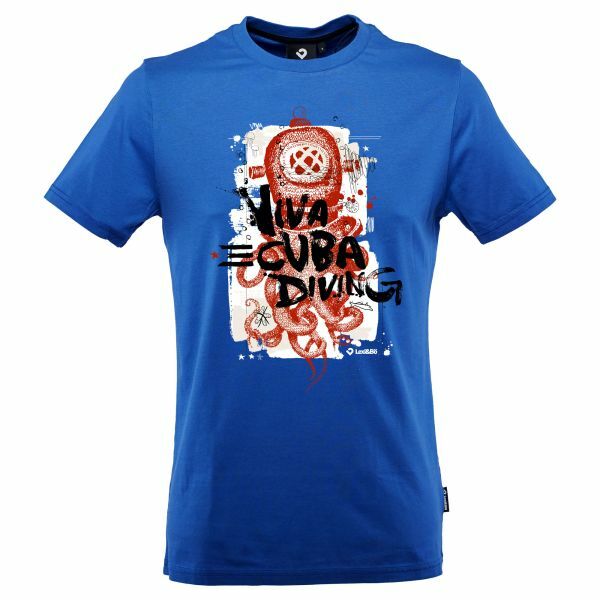 The octopus helmet shirt is given its distinctive, casual style by the carbon-colored "Viva Cuba Diving" lettering. The DTG print consists of a water-based, chemically-free color, which is particularly gentle on the environment. The fabric in the trend colors olive green / lapis blue is made of 100% organic cotton and brings not only variety in your wardrobe, but also to your skin! You will see and feel the difference. According to our motto: Look good! Feel good! The shirt is slightly waisted up to size L and is always super comfortable. The round crew neck is partly ribbed and reinforced, so that it doesn't unleash. The Lexi & Bö Brandlabel sits as usual at the side seam and at the neck. It is made of 100% organic cotton and is super comfortable to wear. The 150g/m² thick and high-quality fabric is completely free of chemical content. The compass print is gentle to the environment and to your skin due to its water-based color. So you can enjoy your time ashore as much as underwater. Our Shirts are all double-stitched. This ensures the shape and size stability even after repeated washing. All of our shirts are made of 100% organic cotton. Our men‘s shirts have pleasant fabric strength of 150 g/m². For all shirts we use high-quality yarns from the company Otto from Germany. The single fibres of these yarns are particularly long and therefore very hardwearing. This allows us to knit the shirts more easily without losing any quality. In each of our shirts we set-in a soft tape in the neck area, so that the seam at the neck does not disturb and feels pleasantly on the skin. For longliving shirts: Our shirts love to be washed inside out at 30° C. Do also iron from the inside – do not iron the print. Do not bleach. The production of our shirts meet the strict criteria of the Global Organic Textile Standard. 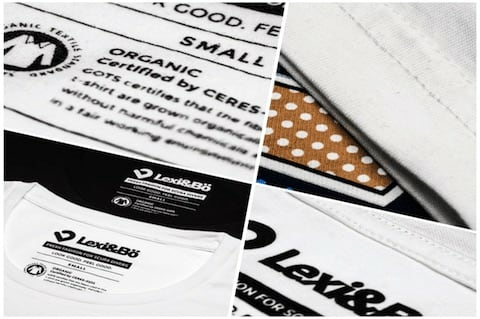 We exclusively use bio cotton which is why our shirts are particularly skin-friendly and anti-allergic (chemial additives and pesticides are forbidden). A special watercolour based printing technique does not only ensure long-lasting colours but – due to the renunciation of toxic chemicals – is also eco-friendly. Customer evaluation for "Octopus Helmet T-Shirt Men"
Subscribe to the Lexi&Bö newsletter and ensure that you will no longer miss any of our offers or news.